At ASEStone, we have an attractive collection of sandstone slabs. We provide quality sandstone for residential and commercial properties across Australia. Our sandstone slabs are available in a variety of colours and textures that complement any contemporary home decor. Our collection of sandstone is known for its superior quality, attractive shades and robustness. At Nostra Homes, we can create a home and land package to suit your lifestyle at Aspire Estate in Merrifield, Australia. Call us at 03-8331-3500. Whether you are building one of our conventional homes, a townhouse, a custom home or a multi unit development you will receive a standout result each and every time. A beautiful stone splashback dramatically transforms any outdated or old kitchen laundry and bathroom. ASEStone is a leading supplier of natural and engineered stones in Melbourne. We provide a wide and stunning range of stone splashback at competitive rates. Learn more: https://www.asestone.com.au/stone-splashback/. A complete design, construction and fit out company that can not build ideal practice but can also supply, install and maintain all of you dental equipment. Currently looking after 500 Victorian customers and counting. Address 1 Southbank Boulevard, Southbank, VIC, 3006, Australia Website	https://dentequip. If it’s time for a renovation, or if you want to turn the big patio in your backyard into something more functional and aesthetically pleasing, bluestone pavers could be for you! Bluestone is one of the attractive and affordable natural stone for the landscaping project. If you are looking to give a lasting appearance to your property, install Bluestone pavers for patios, courtyards and walkways. Plan, Design, Construct DTM Construction Services offers a complete building package from designing, drafting and construction of your new home, renovation or extension in the Alpine areas of Bright, Porepunkah, Wandiligong, Harrietville and Myrtleford in Victoria's North East. A multi award winning builder, DTM Construction Services offers a "one stop shop" for their clients. No floor covering is older, more beautiful or more earthy than engineered stone. ASEStone is your one of the reputed source of the highest quality natural and engineered stone in Australia. We carry a wide variety of countertop materials and styles that would fit any budget and style. 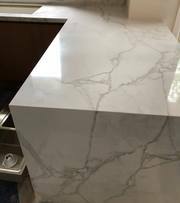 View our entire inventory of engineered marble online at https://www. Brighterlines provide the best car parking line marking repairs and maintenance services in Australia. Their experts' team cover all basic and major line marking requirements, including disabled parking bay markings, pedestrian safety walkways, zebra crossings, to traffic management arrows, cautions, speed restrictions, junctions, and traffic flow. Demolishing or tearing down of an old house is the first step towards building a home of your dreams, and so, it is necessary that the work is carried out by the skilled tradesmen in compliance with the regulatory norms. We have the skills, experience, and professionalism for completing any size and type of project for House Demolition in Melbourne. Action Alliance leads the way in professional abrasive blasting and protective coating. We specialize in intumescent coatings, fire proofing, protective coatings (epoxy and polyurethanes) both on site and factory based. We ensure customer satisfaction and employee safety Phone: 03 9931 0740 Email: info@actionalliance. Yuppies Concreting is one of the most experienced concrete Driveways, Formwork, Footing, House Slabs & Paving Design installation Companies in Pakenham, Victoria, Melbourne, Australia . We have our expertise in building reliable house slabs, along with a proper formwork and also installing concrete paving. We offer reliable and fast services for residential and commercial demolition across Melbourne Metropolitan area as well as Suburbs. Our tradesmen have received thorough training in the field and are certified to perform any size and type of demolition job. They can even conduct the task of asbestos removal in compliance with the required safety standards. DSB is your end to end solution for property development services, from feasibility and concept, to build and marketing/sale of dwellings (licensed estate agents). Subdivision is the process of dividing a large land allotment into two or more smaller land allotments, each on their own separate title. Are you seeking to install a concrete driveway in Pakenham, Victoria, Melbourne, Australia? You have come to the right place. Yuppies Concreting offers quality work in concrete driveways, concrete formwork as well as concrete footing & paving stones in Victoria Melbourne at affordable prices .. Looking best demolition company and services provider near you in Melbourne? Onspot demolition Melbourne is the cheap & affordable demolition services provider in Melbourne; we take all demolition contracts likes residential, commercial, site clean-up, demolition contractors, earthmoving contractors, excavation contractors, concrete removal, house demolition, in Melbourne. Demolition Melbourne is the best demolition contractors in Melbourne. Our team guide you follow step before demolition service used. Before any demolition activities can take place, there are many steps that must be carried out beforehand, including performing asbestos abatement, removing hazardous or regulated materials, obtaining necessary permits, submitting necessary notifications, disconnecting utilities, rodent baiting and the development of site specific safety and work plans. If you want to have your home Renovations or Bathroom Renovations in Brisbane and Gold Coast, then you do not have to go anywhere. Bayar Building can give you that bathroom of your dreams. A simple restyling of your home or office bathroom? Contact us for +61 7 3463 0327..
TRP Constructions is a professional painting company. We are specializing in Residential and Commercial painting company in Melbourne and surrounding area. Our company is committed to customers in several ways like the following: We provide safety when working Our focus on quality is part of what. 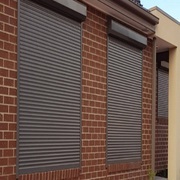 Looking for a company that provides you with top high quality window shutters and security door at affordable prices? We supply and install a good range of top quality window shutter and security door. Explore our measuring guide to evaluate the size of the roller shutter for your window. Call us for a free an obligation free measure and quote. Demolition Melbourne is trained, licensed and insured professional demolition team and our dedication to perfection make on spot demolition one of the main leading demolition contractors in the Melbourne. Using state of the art equipment and the most up to date techniques, we guarantee that your demolition job is performed both effectively and securely. Why selecting Ideal Earthmoving Contractors in Melbourne is necessary? ‘Demolition’, being the first step for any construction work should be performed by following all quality and safety standards. We adhere to necessary regulations for conducting Demolition and Earth Moving in Melbourne, and ensure that the work we do, make our clients satisfied. As a professional Earthmoving Contractors in Melbourne, we utilize tools and machinery, which are of the latest design and can complete the task quickly. Melbourne Garages are a proud distributor of Fair Dinkum Sheds, widely acknowledged as the largest supply network of Cold Formed Steel Building in Australia. We offer a full range of sheds, garages, carports and barns, as well as SOL full colour box beam patios and verandahs. Website: https://www.melbournegarages.com.au/ Phone:. Demolition Melbourne is the best demolition services provider in Melbourne, we are expert in residential demolition, commercial demolition, concrete removal, Excavation, site clean-up, house demolition, Earthmoving contractors in Melbourne. Call- 0416 610 105 For more information visit: https://www.demolitionmelbourne.net.au/residential-demolition/. 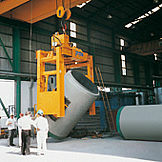 Our professional team has committed to fulfilling your needs at every stage of the project. 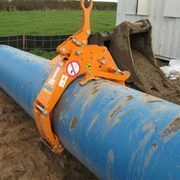 We maintain close communication with you at all times to ensure that the work is completed on time, on budget, safely, environmentally friendly and to the high standard that we strive for. At Green Demolishing we always stay up to date with current Australian standards and regulations, consistently following WorkSafe’s guidelines to the letter. Construction equipment, building supplies Melbourne ads Melbourne, Construction equipment, building supplies classifieds Melbourne, Construction equipment, building supplies free ads Melbourne, ads for sale Melbourne, ads to buy Melbourne, FREEADSAustralia. Find here ads for sale, to buy and rent in Melbourne. Goods for sale in Melbourne, vehicles for sale in Melbourne, Melbourne real estate for sale, Melbourne property for sale, property for rent in Melbourne, business ads in Melbourne, Melbourne business classifieds, services in Melbourne, Melbourne services ads, jobs in Melbourne, pets for sale in Melbourne, Melbourne dating, Melbourne cars for sale.